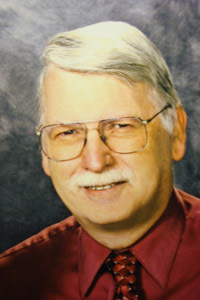 Dr. Jim Maryott (Ed.D. Oklahoma State University; M.Ed. University of Central Oklahoma) is a retired educator. 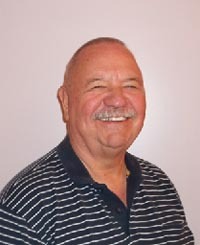 At the University of Guam, Dr. Maryott was an associate professor, department head: school administration, an elected faculty senate member, and evaluator of the Micronesian Educator. 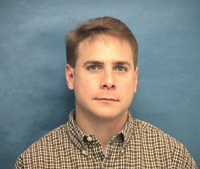 He has also authored several articles in professional journals. This book, Love and Truth, is like a vitamin. Important nutrients are condensed within a single source. Likewise, love and truth are spiritual nutrients, the bread, which Christians live. 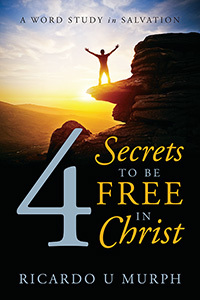 This book offers unique perspectives of the spiritual bread of love and truth, through the role models of the Greatest Generation; a short story entitled, “An Ill-timed Fairy Tale; Christ’s portrayal in “This Love Story is not a Short Story;” God is in the USA’s Capitol today; the belief that Christians need to be segregated – or eliminated – like African Americans were in another time in history; and a prophetic portrayal of the final standoff between the Holy Trinity and the three-in-one devilish triumvirate, within “our” Brave New Immersive World. 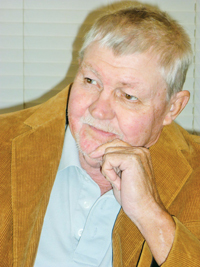 Keith A. Swainson is an engineer by trade and a theologian at heart. He has poured his life into Heresy for fifteen years and can now say, “It is finished.” Contact the author at: keith.swainson.heresy@gmail.com, or like him on Facebook at: Heresy by Keith Swainson, or follow him on Twitter @HeresySwainson. 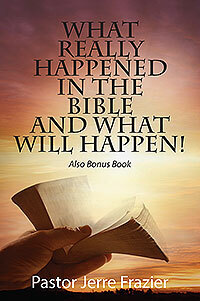 Are You Waiting for the Second Coming of Christ, the Tribulation, the Rapture? But what if everything you know about the End Times…is wrong? In this provocative, exhaustively researched, unprecedented book, Keith Swainson takes you through a series of clear, self-evident conclusions which, when added to one another, form the structure for an understanding of the Bible that will revolutionize how you think about Jesus and Scripture. 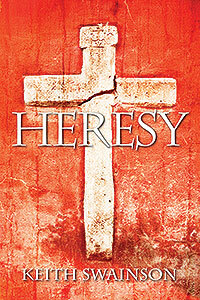 Heresy takes as its basis the idea that Jesus was truly God in the flesh. Swainson looks at the three genetically interrelated monotheistic religions – Islam, Judaism, and Christianity – and asks: Does the Qur’an hint at Jesus being something more than a mere prophet, or even a great messenger? Does an honest reading of Jewish texts hint at the possibility of God coming in the flesh? Does the Christian faith really treat Jesus as God in the flesh, or does it subject Him to constraints meant for men? Answering these and other questions, Swainson shows us that the seeming contradictions throughout the Bible are confusing only if Jesus is being regarded as a man, not as God. Swainson blows away the dust and cobwebs of millennia of interpretations from a Church full of preconceived notions, and shows that the words and deeds of Jesus, as God in the flesh, preach against a Second Coming. Heresy concludes that the kingdom of God Jesus preached about is fully here and now in the lives of believers throughout the world, and that it cannot be more fully realized than it already is. If the kingdom of God is here and now…what does that mean to you as a believer? Powerful, thought-provoking, and revolutionary, Heresy will take your life, and your faith, in a direction you never imagined possible. Jim Lovett prefers to describe himself first and foremost as a spiritually born-again believer in Jesus the Christ (Yahshua ha Mashiac). He is an ex-marine and retired police lieutenant. He holds a B.S. in Business Administration from Rollins College in Winter Park, FL. He was ordained a licensed minister through the International Bible Institute and Seminary (presently the International Seminary) in Plymouth, FL. Jim pastored a small home church in Murphy, NC for six years. Jim has passionately studied the Bible for close to 40 years, always seeking truth. This book, which covers the Old Testament, and the one to follow, which covers the New Testament, incorporates those truths revealed to him in his years of study. The “things of the Spirit of God…are spiritually discerned” (1 Corinthians 2:14). That is why it is so important for you, the reader, to discern whether the writer of what you read regarding Biblical truths is being led by a carnal mind or the Spirit of God, no matter how many degrees or titles he/she may have. The natural man cannot know the things of the Spirit of God – they are spiritually discerned. Jim and his wife, Charlene, have two grown children and six grandchildren, and live in Liberty, KY. Most of mankind follow the Way of Death because it seems right to them; their fallen nature desires to please the natural, lustful desires of their bodies. The Bible puts it this way: “There is a way which seemeth right unto a man but the end thereof are the ways of death” (Proverbs 14:12). The Way of Death didn’t begin with man, but with a powerful angel named Lucifer who led a rebellion against GOD, the Creator. Later Lucifer spread his rebellion to mankind. The Creator developed a 7,000-year plan to subdue all rebellion, restore peace and harmony to His universe, and prevent further rebellion. The key element to God’s plan involves providing One born miraculously of a young woman, a virgin, into the human race. He would live, teach and lead repentant rebels to turn from the Way of Death (rebellion) and turn to the Way of Life (obedience). This book covers the Bible’s Old Testament, which addresses the first 4,000 years of the Restoration Plan. It will be followed by a second book covering the Bible’s New Testament and the last 3,000 years of the 7,000-year Restoration Plan. THIS BOOK IS FOR YOU, whether you are: an atheist, agnostic, new Christian convert, a Bible scholar or follower of one of the thousands of the world’s religions. 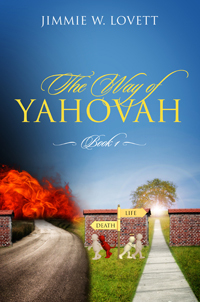 As a new convert, after reading this book, you will have a sound foundation for learning and living the “Way of Yahovah”, the Way of Life. For the atheist or agnostic, you will receive a clear understanding of what the Bible, which claims to be the Word of the true Creator of the universe, has to say regarding your future. It speaks of the destiny of those who reject the Creator and His Son; the only One Who can save man from eternal death and lead him into eternal life. You need to know what is says so you can make an informed, intelligent decision concerning your eternal destiny. It is the most important decision you will ever make. If you are a Bible scholar, there are many thoughts and considerations you may have never entertained that may lead you to reconsider your position on some of the doctrines you hold. As a follower of one of the thousands of the world’s religions, other than that of the Jewish Messiah, Jesus the Christ (Yahshua ha Mashiac), you need to understand what the Bible has to say about your eternal destiny. Delores Walker-Burke’s earnest desire has always been to be an instrument used by the unction of the Holy Ghost. She has demonstrated prophetic intercessory and a calling that is upon her life. Delores is anointed, insightful and a true ambassador for God’s Kingdom. She is a prolific writer. Her writings include soft-skill training modules, personal development programs and curriculum. As the founder and CEO of Dynamic Marketing Research, Inc., she has created a conglomerate of products and services that include greeting cards, medical services, fashion accessories designs and a non-profit organization “Hearts of Promise.” She possesses a heart to advocate for those of lesser strength and will power. She resides in Georgia, married and has two children. 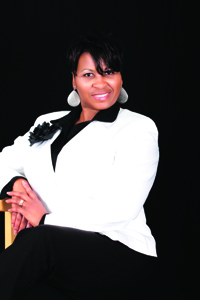 She faithfully serves New Birth Ministries of the PAW as the administrator. How would you rate your relationship with God? Are sincerely available? God is not looking for a one-night stand. He does not want to kick-it with you. He does not want to just hang-out with you. He is tired of pseudo-relationships; where you only connect with Him on Sundays or when it is convenient. He is looking for something that’s long-lasting. He wants your mind, body and soul. 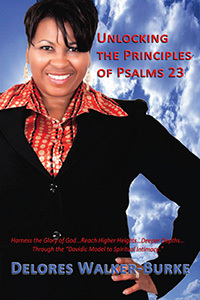 This book is all about helping God’s people reach higher heights and deeper depths through His word, prayer, fasting and faith; therefore, strengthening a stronger, healthier and effective relationship with Him by examining the heart of someone that God loved so dearly even in David’s state of imperfections and flaws. There are so many “Davids” out there that have accepted Christ as their Shepherd and Savior and know what it means to be rocked in the arms of a forgiving God. To understand David’s Psalms 23, a brief synopsis of his life is given to place various accounts of his life in perspective. You may have pondered many questions about David and hopefully some of them will be answered, which includes: his kingship, his flaws and frailties, family tragedies, successes as a warrior in relation to his relationship with God. How did God use that relationship to bring salvation to modern Christians? What characteristics did David demonstrate that would be most beneficial for us that would help us to propel into deeper intimacy with God? 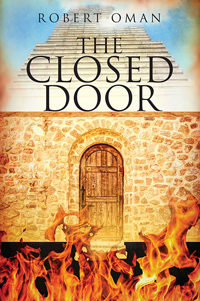 This book will open up your understanding concerning the new covenant and unleash principles that will grant you access to bountiful blessings of God by following the Davidic Model to Spiritual Intimacy. Seek Him and you shall find him! 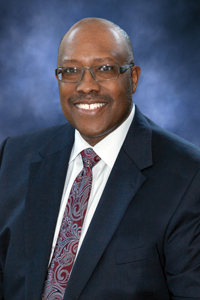 Introducing Pastor Jerre Frazier, author of What Really Happened in the Bible and What Will Happen! Scholar, Teacher, Preacher and Speaker. Online teaching of the O.T. and N.T. Church superintendent and teacher 1965. Became a preacher in 2006, and a scholar in 2009. Married over 54 years, with 3 children and 7 grandchildren. Over forty years of research of the Bible, into the Hebrew and Greek languages, I have come to the conclusion that the churches have misconceptions of their teachings and doctrines. This book is written in hope to put their teachings back in the proper place, but it is their choice to do or not to do so. Now I have written to the people, about the true teaching of God, and not man, where they can see what really happened in the Bible and what will happen. Then they can make their own choice.